One of Apple's key suppliers, Japan Display, is getting a bailout of 60 to 80 billion yen -- up to $723 million -- as it copes with soft iPhone demand and competition from Chinese panel makers. Among others an investing group includes China's government-backed Silk Road Fund, and Taiwanese panel maker TPK, Reuters said, quoting the Kyodo news agency. Once a deal goes through the group will hold a stake valued anywhere between 30 to 50 percent, making it Japan Display's new biggest stakeholder -- replacing INCJ, a fund backed by the Japanese government. The deal could be finalized by the end of March, a Reuters source said. Japan Display has been struggling for some time, faced with slowing growth and even declines in the smartphone industry, which the iPhone's weak performance has only compounded. 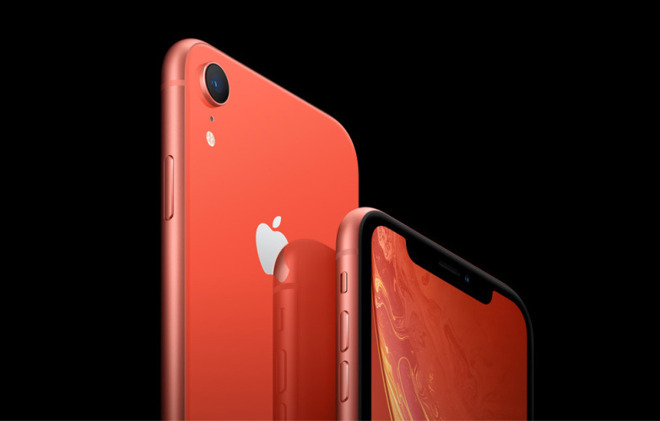 The firm has also been slow to switch from LCD to OLED -- while it's believed to be making LCDs for the iPhone XR, Apple may be going all-OLED for iPhones by 2020, reducing Japan Display's related orders to low-temperature polysilicon sheets unless it can ramp up OLED. The manufacturer is no stranger to bailouts. It allegedly raised over $500 million just to secure XR orders, and in 2016, it received $636 million from INCJ. Apple has claimed the XR as its bestselling iPhone since it launched. The product may still not be doing as well as expected though, in part because it costs $749, $100 more than Apple's once-standard entry price for new iPhones -- that can translate to even higher pricetags in markets like China and India. The OLED-based iPhone XS line begins at $999, reserving it for wealthier buyers or people who treat their phone as their main computing device. What’s the benefit of going all OLED? LCD is cheaper, but OLED provides much better contrast and power consumption, and much of the iPhone's competition is already on OLED. Bigger issue is Apple is taking too much of the profits that should be going to their suppliers so the suppliers are unable to weather downturns. I hate to see Japanese suppliers go into bankruptcy. I hoped Apple would do something like they did for Dialog.Why can’t Japan get Sharp or other manufacturers get smartphones at $150-200 ? Maybe OLED comes down enough in price in a few years to make upgrading my 6s worth it (if they kill off LCD phones). I wonder what ever happened with Apple and microLED? Haven't heard anything in a while. They're likely still working on it, but it's nascent technology and still very expensive to produce at scale. Apple should be working with JDI on this, China is a risk and filling Samsung’s coffers can’t be a priority. Geo-politics are likely to be greater dictator of products than design or profits in the near-term. I think Plessey are front-runners for micro-LED so far. Argument in favor of LCD. The contrast argument is fine, the power consumption is debatable and depends greatly on how the screen is used. From what I've read this might not be as big a benefit, in real world use, as theoretically possible. much of the iPhone's competition is already on OLED. Not really a valid argument. This starts getting into the "tech specs" comparison. This is a game Apple usually doesn't play. P.S. Another benefit of OLED is the ability to go bezel-less, increasing physical design flexibility and specifically the ability to have a larger screen without increasing device size as much. But it looks like Apple is pushing the LCD engineers on this. I wouldn't be surprised to see a further bezel reduction in the next generation of LCD reducing or eliminating this advantage for OLED. Investors increasing their holdings in this company is not a “bailout”. That’s just a misuse of the word. The author could’ve used the word “lifeline” instead.